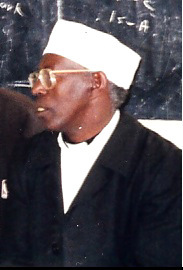 Home » News » Charity » Requiem Aeternam: The Reverend Abba Woldegabriel Kahsay of Adigrat Eparchy Passed Away! 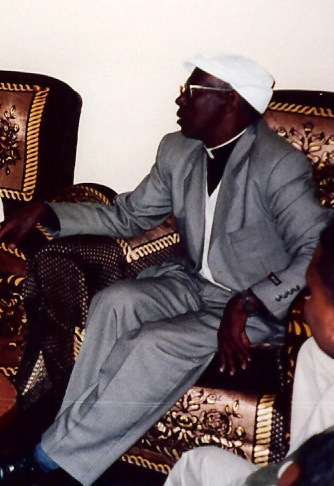 Requiem Aeternam: The Reverend Abba Woldegabriel Kahsay of Adigrat Eparchy Passed Away! “Remain faithful until death, and I will give you the crown of life” Rev. 2:10). Grace and Peace of Christ be with you. It is with deep sense of loss and sorrow that we have to inform you the passing away from this life to our heavenly home of our dear priest, Reverend Abba Woldegabriel Kahsay. He died in the Mekelle Referal Hospital, today Lekatit 26, 2006 EC (March 5, 2014 GC), at 11 AM. There will be Holy Mass and Tselot-Fethat Service for him on Thursday morning, Lekatit 27, 2006 EC, at the Nativity of Mary Parish Catholic Church in Mekelle, at 6:30 AM. In the afternoon, at 2 PM the body will be accompanied from Mekelle to Adigrat. There will be Holy Mass and Tselote-Fethat Service for him on Friday morning, Lekatit 28, 2006 EC, at the Holy Saviour Catholic Cathedral in Adigrat at 5:40 AM, and the burial service will start from 10:00 AM at the Holy Saviour Parish Cemetery in Adigrat. Our Eparchy has lost within one month, two of its exemplar priests, Abba Teum Tesfay and Abba Woldegabriel Kahsay, who have remained faithful to their call of priestly service and commitment until their last moments of this earthly life. We will remember Abba Woldegabriel for his love of the Church and for his dedication as educator, chaplain and confessor. May Our Lord whom he served with great love receive his soul and grant him eternal rest. By wdc38 in Charity on March 5, 2014 .